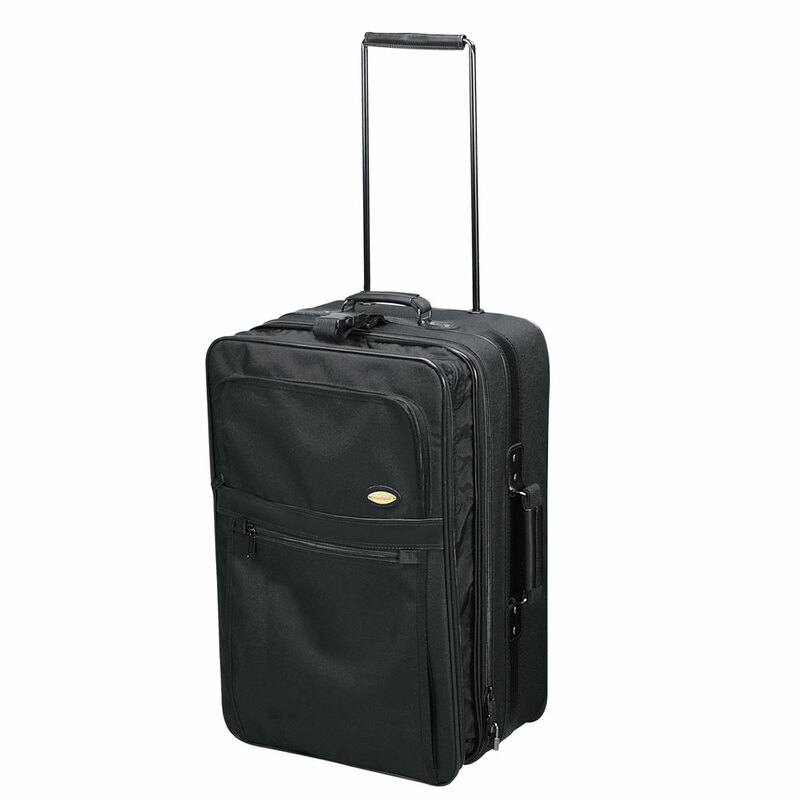 Made of 600D polyester, each piece in this classic group has a sturdy pull-up handle and recess wheels. Features separate expandable compartments for extra space, and mesh and zip pockets inside its roomy main compartment, It's a larger size and expandable. Imprint: On front pocket approx. 6 1/2" x 5"
Embroidery: On front top or bottom pocket approx. 4" x 2 1/2"H.
Product Size: 24" x 17" x 8 1/4" Expands to 11"
Pack Info. : 2 pcs / 47.00 lbs. Pack Note: (Dimension Weight) / 24 lbs. (Actual Weight) / 24" x 20" x 16"